The American Red Cross has announced an emergency need for donations of all blood types to address a critical shortage. To help meet this need, Lake Oconee Dentistry will be hosting a blood drive on Thursday, August 30th. 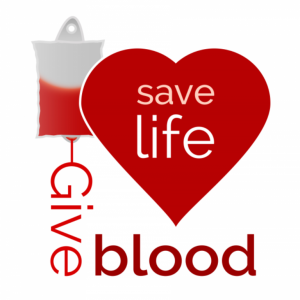 The American Red Cross Bloodmobile will be in the practice’s parking lot and has appointments from 12:30 p.m. to 5:30 p.m. available that day. Anyone in the community is welcome to participate. Every day in the U.S., roughly 41,000 blood donations are needed. That means nearly every two seconds, someone needs blood. Just one pint of blood can save three lives. Although all blood types are needed, there is a particularly critical need for Type O. Type O positive is the most transfused blood type and can be given to patients with any Rh-positive blood type. Type O negative is the universal blood type and can be given to any patient. Emergency workers often reach for Type O blood when there is no time to determine the blood type of patients in the most serious situations. In an effort to increase the number of donors over the next 30 days, the Red Cross is offering a $5 Amazon gift card to anyone who donates blood by August 30th. Participants in the Lake Oconee Dentistry blood drive will qualify for this special offer. Those interested in donating are asked to please reserve a time in advance by going to www.redcrossblood.org and entering sponsor code LOD. Free Day of Dental Care for Veterans and Active Military! Lake Oconee Dentistry will be hosting Stars, Stripes and Smiles, a free day of dentistry solely for our servicemen and servicewomen, on Friday, November 10th. Drs. David and Patti Bradley and Dr. Shelly Pound, as well as Lake Oconee Dentistry hygienists, dental assistants and other team members, will provide veterans with their choice of a free extraction, filling or cleaning that day. Dr. David Miller, an oral surgeon and owner of Lake Oconee Oral Surgery and Dental Implant Center, will also be donating his time, along with his team, in order to help as many people as possible. Of the 21 million veterans in the United States, fewer than 10 million are enrolled for US Department of Veterans Affairs (VA) health benefits. More than 1.2 million veterans lack health insurance altogether. This gap is even more pronounced when it comes to dental care because the VA only provides dental benefits to veterans classified as disabled or as a prisoner of war — or as veterans who have a service-connected dental condition. If you are a veteran and are interested in receiving free dental treatment on November 10th, please call the office at 706-453-1333 for an appointment time. Lake Oconee Dentistry is located off Highway 44 in Greensboro, between the Publix parking lot and the movie theater.